Richard Gooding reveals all on why photography became his passion, his family life and some of his favourite projects. With published work in the Andrew Martin Design Review and Homes & Gardens, to name a few, we also find out where he gets his inspiration from. So, get comfy and enjoy our exclusive interview with the successful interiors and architecture photographer now. 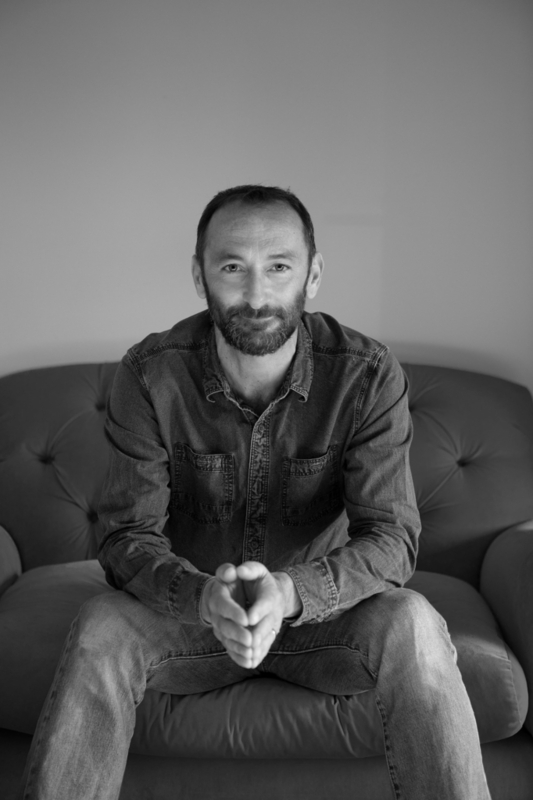 Married with two children, I am a self-taught interiors and architecture photographer, which came about from a career change in my late-thirties. When I am not behind a camera, you can find me on a surf board off the coast of wales. Otherwise, you’ll find me with a tennis racket in my hand – just not both at the same time! I’m based in Maidstone, Kent and within an hour of central London – the source of many of my assignments. As a child, my father’s Canon camera, with all the buttons and dials, really intrigued me. In fact, I was never satisfied with his explanation of what they did and why. As a teenager, I then declined a university place to study architecture and was in an office-based career which increasingly made little sense to me. I left that to become a house husband to look after our one-year-old daughter and that’s when the thinking started. The urge to learn more about photography played out until one day, whilst pushing our young daughter through a park. At that precise moment, I looked up and saw a helicopter hovering overhead with a camera underneath it and had a eureka moment. Starting an aerial photography business would be my niche. In reality, what I didn’t realise at the time (in 2006) was how expensive this type of business would be to get off the ground. After all, life-sized helicopters or remote controlled toys with underslung early digital cameras, were actually taking the photos. So off-the-shelf drones, as we know them now, just didn’t exist. As a result, I dropped the aerial idea but ‘photography for a living’ still really inspired me. So, I started a business in late 2006 doing some paid work photographing engineering case studies for a friend who ran a marketing agency. My attraction to the built environment meant I started with unpaid work for architects and interior designers to build a portfolio – and the rest is history. I love my work as an interiors and architecture photographer. I do now own a drone, by the way, but use it mostly for personal work. I like using just available natural light in an interior, using a tripod for long exposures of varying durations, to evoke the feel of the space and design. More recently, I have been using one flash light to augment the existing daylight to encourage elements of a design pop a bit more. I find a flat elevation view of an interior works very well for me stylistically and often creates a cinematic feel. Tell us about some of your recent commissions? Earlier this summer, I captured a stunning house in Chelsea with a beautiful triple height feature wall. However, more recently, I have photographed a listed barn in the Kent Countryside for an owner to market her property as a film and stills location. I’ve also captured a contemporary design of a property in Kensington for an interior designer. Her client had some wonderful art pieces, including work by Banksy and Ai Wei Wei which worked beautifully with the overall design. Most recently, I was in Denmark with Staffan Tollgard shooting an interior design of a charming summer house on the UNESCO listed island of Fanø, Denmark. Do you have some favourite projects? There are so many over ten years or so. 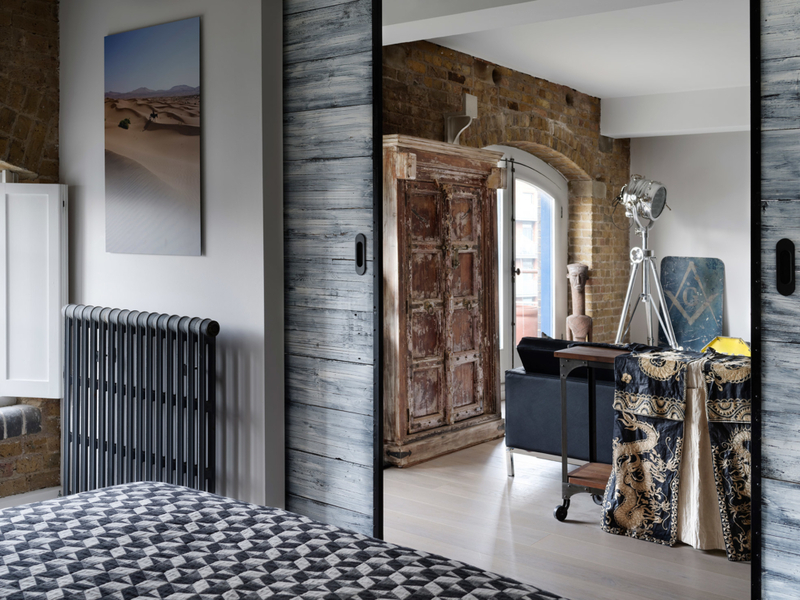 A conversion of a former London Southbank grain house stands out. This is where the designer completely re-configured the interior. So there was a lot of steel, exposed brickwork electrical conduit on show to maintain the original industrial feel. In fact, the property owner had travelled the world and brought home some eclectic artefacts and art pieces. So, these gave a really good design even more personality and character. 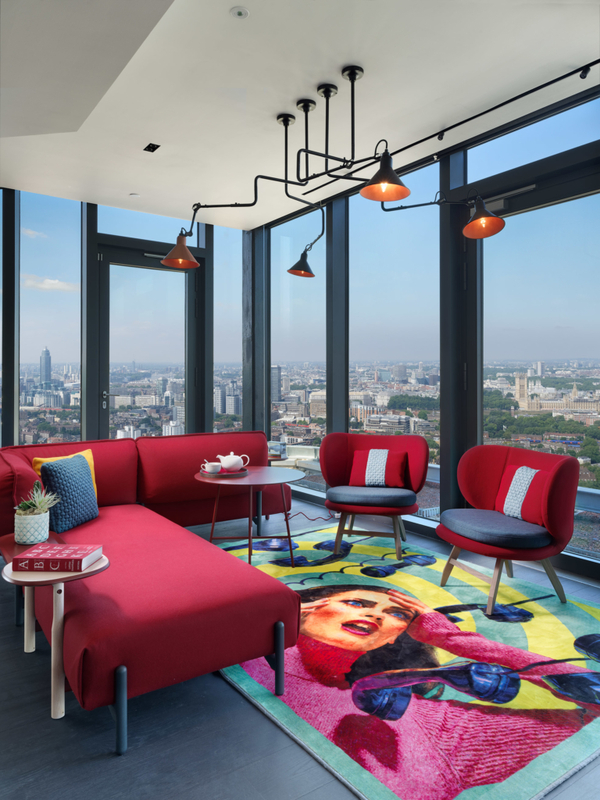 However, the project being featured in numerous lifestyle and interiors titles including a nine-page piece in Kitchen Bedrooms and Bathrooms and the Evening Standard lifestyle supplement, was the icing on the cake with this project. I also thoroughly enjoyed an architectural interior design project of two listed properties made into one. 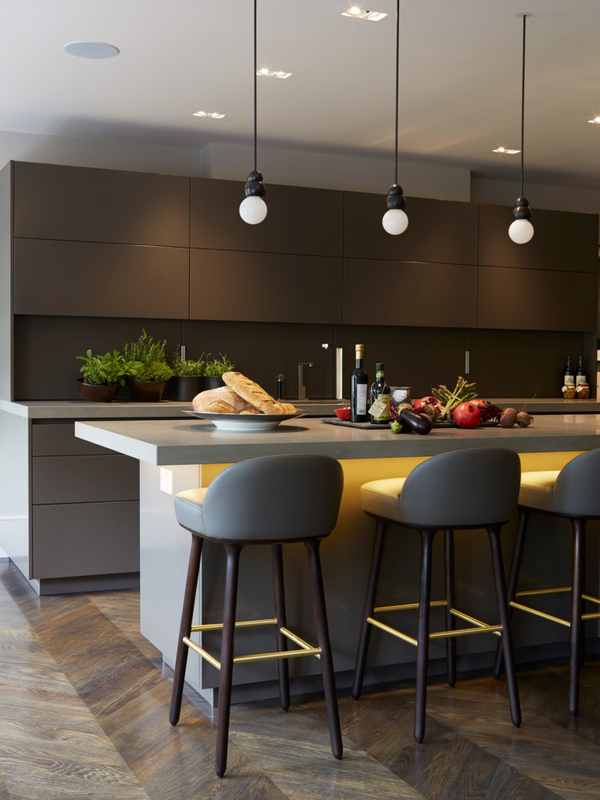 Situated on a prominent square in Knightsbridge, my client Staffan Tollgard Design Group even won an International Property award for best London apartment with their design. Capturing unusual projects, not necessarily large scale and high budget, also become my favourites. Late last year, I photographed an architect’s home Practice perched on the slopes of the Kent South Downs, not far from where I live. It overlooks some glorious countryside. In fact, it’s simplicity, functionality and location combined was a joy to capture. In addition, the setting was beautiful and must be a daily inspiration for the architect. Is your work mostly for residential or commercial spaces? Seventy to eighty per cent of what I capture as an interiors and architecture photographer is a residential space commissioned by an interior designer, architect, boutique property developer or sometimes private individuals who would like a lasting, stylised record of their home project. Then the remainder comprise assignments from product designers and suppliers to the built environment, commercial architects and interior designers. My work has appeared in the Andrew Martin Design Review (volumes 16 and 17) twice. Homes and Gardens, The Interior Design Yearbook , House and Garden, 25 Beautiful Homes, Kitchens Bedrooms and Bathrooms, Country Life among others. I’ve also achieved exposure in some large overseas titles like Modern Decoration China and Russia’s Elite Magazine. In the last two months, I have also had two front covers, courtesy of Staffan Tollgard Design Group, for The Interior Designer and The Art of Design. I use two camera systems in my role as an interiors and architecture photographer. My main working camera is a Pentax 645Z medium format digital camera with three lenses. Occasionally, I will use a Canon 35m digital capture system with tilt and shift lenses, particularly for architectural projects. Any top tips for an aspiring interiors and architecture photographer? Have empathy for your interior designer client or any client for that matter. They have often spent months or even years working on a project whilst you are showing up at the 11th hour just to capture the nice stuff. Remember to acknowledge the journey they have been on. Marketing yourself is important. When editing a portfolio to show to potential clients it has to be quality over quantity every time. Being good at social media and everything else in this high tech media savvy world is great. Despite this you won’t get far if the quality of your work isn’t speaking for itself. Concentrate on producing great photography first and foremost and everything else will follow. 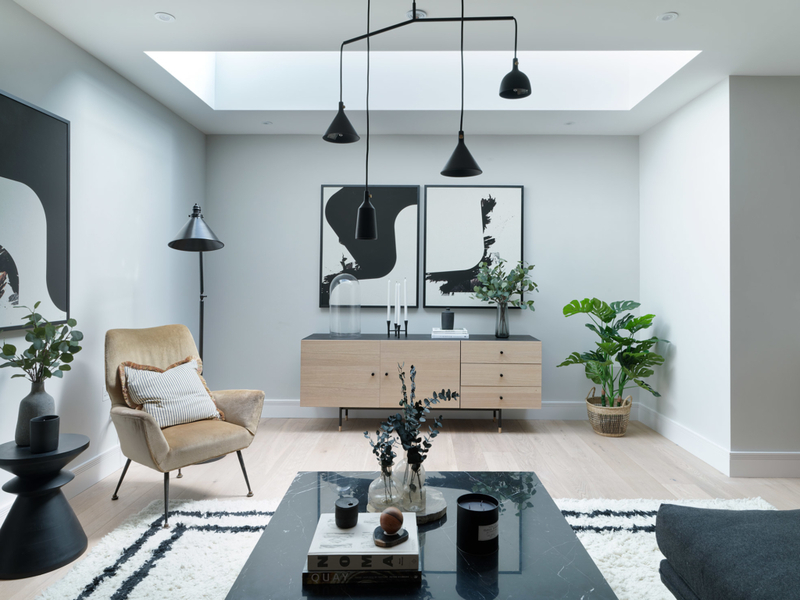 Be inquisitive; if you are aspiring to produce images of interiors you see in magazines and elsewhere, try to figure out why they are looking so good. Reverse engineer them and you might learn something. When starting out if you are not living breathing, sleeping your photography you risk falling by the wayside. Be passionate not casual. On a typical shoot day in London – I’m up at 5am, coffee, have a light breakfast and travel to the location. From 8am – 8.30am, I’m at the location and have a quick walk around the project with the client to decide which spaces have priority with the available and moving natural light conditions across the day. As an interiors and architecture photographer, I also consider how much time to allow for each space, so nothing is missed. 9am -9.30am start shooting. Time really flies from mid-day so it’s important to take a break and eat. In reality, lunch might not happen until mid to late afternoon. I then continue shooting until all the spaces are captured. At 9pm, I’m back at the studio, downloading images and backing up immediately. My camera batteries then go on charge if I’m shooting the following day. Then, I quickly review the images. Who, what and where inspires you? I look at the work of a broad range of people who are doing creative visuals. I’m inspired by a range of disciplines including film, photography and art. Sure, I am inspired by the big name photographers of our time. But I actually tend to draw most inspiration from my wife. Intelligent design in the built environment – when designers really think about how humans will use, enjoy and be inspired by the space. I particularly like landscapes where there are interesting light conditions. We have a holiday home on Gower in Wales. It’s beautiful and regularly provides ever changing light, giving me pause for thought and contemplation. It reinvigorates me and allows me to refocus my creative energy. Do you get to travel much in your field of work? The majority of my work as an interiors and architecture photographer is London based, with occasional shoots outside UK. I tend to travel outside of the country about 5 or 6 times a year. My most recent assignment on Fanø, Denmark has to be my favourite. So recent in fact that the images are still being perfected. Its location reminded me of our holiday house in Wales. This allows me to tune into what it is like to spend time in such a dramatic coastal setting. The property has been architecturally and interior designed by both an award winning Danish architect and a leading and equally award winning Swedish interior designer (my longest standing client). These high end projects almost always translate into incredible images. Great natural light (glazing on three sides) which changed nicely throughout the two days of shooting. Whats not to like! At the beginning of the year I travelled to and photographed an apartment in Interlaken, Switzerland. The scenery around the apartment was sublime. What are your aims and ambitions for the year ahead? In my role as an interiors and architecture photographer, I am already exploring video work, which I intend to integrate into my offering for clients. Short term I will be focusing on finding the right opportunities to do that. I am planning to take time out in the new year to travel. This is with the intention of working on some personal projects and more international work. I am also being considered for an interesting forthcoming project. This is to capture the re-purposing of a range of those large natural gas holders you see dotted around cities and urban areas. Want to know what makes luxury, bespoke furniture makers Zelouf & Bell tick? Read all about them in our exclusive interview. Simply click here.